The modern 444-hp beast has been extremely popular all over the world, seen at drag strips, car shows and events everywhere. The heart is powered by a 5.0-liter Coyote putting out 380 ft. lbs. of torque. There’s no denying that the stock exhaust note is aggressive alone and it looks ridiculously badass straight out of the gate! And who can resist that old-school hockey stick styling with that aggressive stance on an S-197 Mustang? Opt for a Boss 302 Laguna Seca and you have a powerhouse with only a few mods, placing this Mustang into the “track-only” category. It accelerates from 0 – 60 in approximately 4.0 seconds and gets a ¼ mile time of about 12.4 seconds at 115 miles per hour. Pardon us for not mentioning earlier that this thing is a BEAST straight from the factory. With the Boss disappearing, it may sadden a few enthusiasts. While the Shelby GT500 is no joke with its incredible 662 horses, the Boss has been considered a more balanced car all around by many, including Jay Leno. 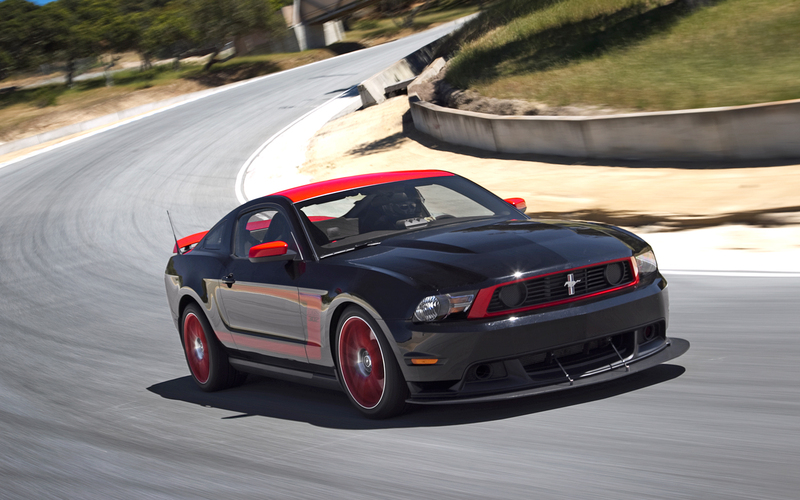 The Boss 302 was hailed the 5th best ride via MotorTrend’s 2011 Best Driver’s Car competition, beating out the Z06 Corvette in the process. The magazine had nothing but compliments about the car that they’ve labeled “the best Mustang ever built.” Clearly, this Mustang has upheld the BOSS legacy with flying colors. 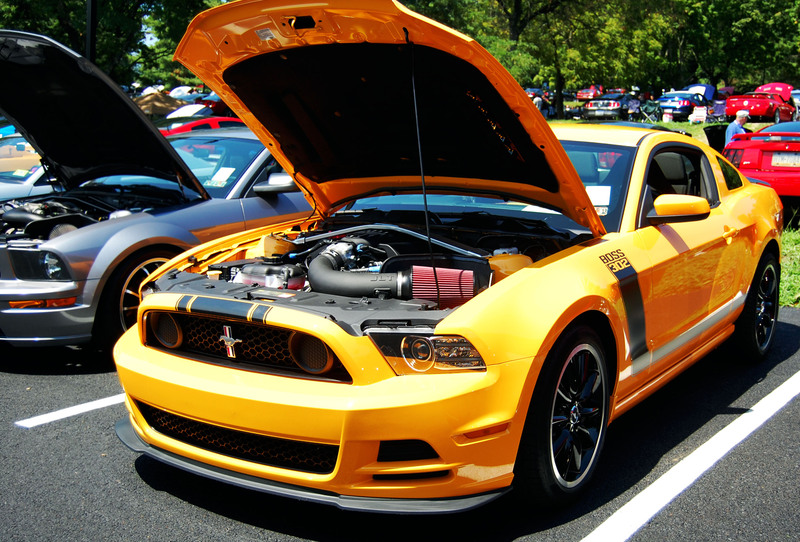 Are you sad to see the Boss 302 leave the lineup? Let us know your thoughts in the comments below! Kudos to Amie for sharing the love. Not many people in my social circle get it. Some people have a passion for gardening, some art, others music. They just don’t get the care I show for and put into my car. All things hotrod for a girl is a pretty special thing. I love mustangs and will be especially sorry to see the Boss go as it was reportedly the best sorted mustang ever. That said, I am looking forward to the 2015 models that are expected to be smaller, lighter and have independant rear suspension. That’s where I believe Ford should have been in 2005 when they introduced the retro-mustang which wasn’t much better than the typical manufacturer paint and sheet metal changes of the past until the recent v6 and coyote engines.